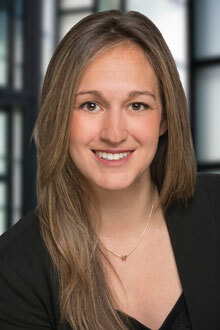 Portland, Ore., (January 23, 2019) – Portland Associate Tessan Wess will give a presentation at an Oregon Association of Legal Administrators (ALA) Human Resources Management Meeting, titled “Don’t Leave! The Heartbreak of Handling Employee Leaves of Absence,” on February 14 at the offices of Barran Leibman LLP. Ms. Wess' presentation will explore the many different types of leaves of absence, with tools for the human resources professional to manage requests and otherwise navigate the process. The Oregon Chapter of the ALA has over 120 members and serves all of Oregon and Southwest Washington. The organization offers scheduled monthly general and section meetings that focus on a wide range of educational topics. Ms. Wess manages employment matters of all kinds for clients, including complaint investigations, early dispute resolution, administrative charges, and litigation. Register for the event here. Tickets are free to members and lunch will be provided.